Today, technology is a utility as vital to business as electricity. But it’s not just software that needs updating. 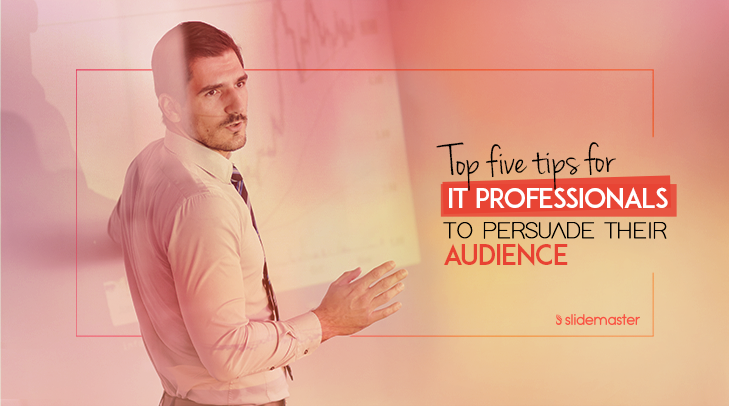 As technology weaves tightly with business, IT professionals must continually keep their audiences informed, excited and assured. So, beyond an information download, we must effectively communicate the IT solutions that matter and convince customers, employees and investors to trust it. But, how? With data breaches hitting some of the largest companies, security is a significant concern. Ease customer and stakeholder worries without compromising data safety by focusing on principles rather than specifics. Use creative media, like explainer videos, to illustrate how you keep their information secure. It’s an entertaining and engaging way to convert audiences of varying tech-savviness. Big data can be overwhelming for any audience. Whenever you’re presenting it, it’s important to make it digestible by breaking it down. Try using simple and scannable infographics that communicate key trends or patterns at a glance. Or, transform complex analyses into an easy-to-understand explainer video. It’s easy to fear change. But as technology waits for no man, innovation and digital transformations will simply become part of daily business. Get your customers, employees and investors on-board and excited about digital transformations. Show them how it improves productivity, efficiency, and customer service, and convince them it’s essential for business growth. Package all of these points in a well-constructed, well delivered presentation and you’ll be well on your way to earning widespread acceptance. Energy-efficient solutions are the way forward in tech. Plus, energy cost savings are a strong selling point for customers. While it’s easy to tell customers your solutions generate ‘cost-savings’, it’s important they understand how it happens. So, why not showcase the process in a memorable explainer video? Or demonstrate how much energy they can save in an eye-catching infographic? To attract the best talent in the marketplace, you’ll need to make your employer brand stand out. Remember Google’s cryptic recruitment ad? Without going that far, there are many ways to be seen. Well-designed and informative company credential presentations go a long way to grab the attention of top talent. In the lightning-fast digital world, skills get outdated rapidly. So, you’ll also want to keep your talent up to speed. Why not run regular training webinars that provide employees with the knowledge they need to do their jobs well? Don’t let your technology updates lag. Keep your audiences engaged, excited and convinced of the merits of tech using a winning combination of infographics, explainer videos, webinars and professional presentations. Are you ready to WOW your stakeholders during your next technology update? Contact us today for a free 30-minute consultation. Using our three pillars of content, design and delivery, our expert team is proud to help IT professionals inform, excite and assure their audiences.